From a young age, Libra child makes harmony and beauty a priority in his life. In fact, this is what inspires much of how he goes about his daily routine and his relationships with others. He likes to decorate, so give him a say in how his room is furnished. You will be amazed at how Libra child can put furniture and decorations together to showcase his personality while keeping aesthetics soft and welcoming. He likes to make his personal space inviting so that other people will feel welcome in it. Although others may not notice, he tailors his activities with and his gifts for other people based on what he knows they enjoy. He is happy to do something that his friends and family love for the sake of just spending time with them. Be prepared to comfort Libra child when he realizes that not everyone is as accommodating or generous as he is. He is born with a sense of right and wrong, especially when it comes to relations with others. Libra child will fine-tune this sense with experiences among others. He will even experience tests to either weaken or build his sense of conviction. During these tests, he will weigh pros and cons, and he will doubt himself although he instinctively knows what is right. If Libra child communicates with you about the arguments he has in his head, or asks a ton of questions, encourage him to trust himself as long as his intentions are pure. If you are his caretaker, you will be a key component in developing his integrity, as he will be confused by the misdeeds and ill intention that surround him. As an adult, he will hopefully be able to balance his love for people along with his sense of right and wrong. Libra child loves sharing his thoughts with others. Much of this is attributed to the fact that Libra is an air sign, which, in astrology, facilitates the flow of information and communication. By sharing his thoughts with others, he finds common ground with them; When common ground is found, connections are made. 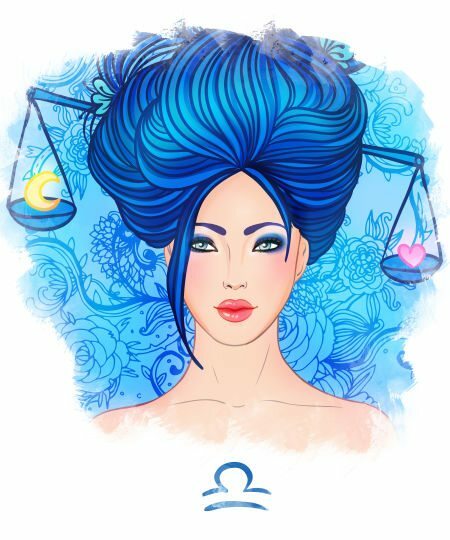 Libra child finds socializing and connecting with others to be important, whether it is with a few people or with many. Some Libra children like having many friends because they enjoy being surrounded by love as much as possible, and other Libra children who are more introverted can enjoy being surrounded by love with just a few friends. If you are a Libra child’s parent, it is important to keep him in a loving, inviting and harmonious environment. Three key elements (love, expression and harmony) do much more to keep Libra even keel more than most people can imagine. Without them, he may have an imbalance between mind and body. His general outlook may be clouded with delusion, or hardened with insensitivity. Libra rules the 7th house, which is the house of marriage and partnership, so they will be greatly affected by any separation of parents. If Libra child senses discord between parents, he will do his best to fix the issues between them. You may even find him trying to negotiate or establish peace in the middle of an argument, or playing devil’s advocate in order to get both sides to understand the other. Fairness is always a priority for Libra child, so he will let you know if notices that something is unfair! As a caretaker, it is essential that you find the right balance between setting a fair environment and teaching him to cope with unfair circumstances. Otherwise, he will be confused and frustrated when he sees unfairness. The Scales’ influence on Libra child will also show in his work activity. You might notice he will alternate times when he works vigorously, and times when he relaxes to recharge. although he is capable of feeling driven to work vigorously for a long time, he prefers to take “time outs” to preserve his energy. In terms of extracurricular activities, he will feel energized when involving himself in the arts by taking singing or acting lessons, learning how to play a musical instrument, or painting and drawing. He may also love to read and write, and the bookstore may be as interesting as a playground to him. Libra child might dabble in multiple extracurricular activities in an effort to find his favorite hobbies. He does not like rushing to make decisions, as he prefers to explore and weigh his options before making up his mind. 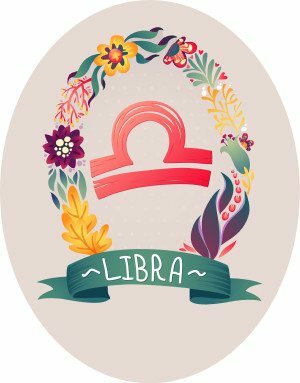 Whatever hobbies and activities Libra child chooses, it will involve connecting with people at different levels. This could be from behind a computer or piece of paper, or this could be through direct contact with others. Among people, you can find Libra child fully engaged in meaningful conversation or chatting about anything and everything among a larger group. Libra Child understands balance and justice, which are two great strengths to have as a child. As a parent, it is best to encourage the application of these strengths by emulating them. Although each child is different and has personal needs, give an equal amount of attention to each child. Show your support in their activities by going to see their concerts, plays, sporting events, or anything else they may be involved in. And don’t forget Libra child’s birthday – it will hurt him greatly. Libra child loves celebrations and special occasions. In fact, from an early age, you will notice that he loves dressing up and grooming himself. He loves to put his best face forward, and he will make it a point to look nice if he is leaving the house or having company. Libra child will show from an early age how much he enjoys being a gracious host, providing good food, music and conversation. As a baby, Libra will learn how important music is to ambiance, as he will light up when music plays. Another hobby of his is putting things together, so you might find him very interested in building blocks, or model cars and airplanes. The nickname “Lazy Libra” came from Libra’s love of sitting still. However, his inner balance eventually stimulates him to move around and get blood flowing! Libra is represented by the Scales, which is a symbol of balance, justice and fairness. From an early age, the Scales’ influence will show in many areas of Libra child’s life. If he is taken to a sporting event, he will often root for the underdog, unless his loyalty is to the other team. This is because he feels that everyone deserves a chance to win. Among peers, Libra child can often be found defending those who are bullied or often made fun of, as he strongly dislikes unfair treatment. When playing a game, Libra will be the first to speak out if he sees someone playing against the rules. He will show early on that he likes to make other people feel special. He has enough love in his heart to genuinely care about a large amount of people. Libra child may have many friendly acquaintances, but it is common for him to have just a few close friends who he lets close to his heart. He makes a wonderful peacemaker, as he can be seen smoothing things over after fights among friends. As long as Libra child is not personally involved in an argument, he is skilled at facilitating proper communication between parties.